Transactions represent a fundamental process of online gambling, whether or not players prefer sports betting, casino games, or poker tourneys. To get involved, you have to able to securely credit your account with funds and then withdraw the winnings safely. For those reasons, many punters are have long since converted to eWallets. • A protective layer: an eWallet provides a barrier through which payments can still be made using your preferred debit card, credit card, or bank account. • Hold back details: you will not have to share card details or account numbers with an eWallet. These can complete payments with usernames and passwords alone. • Quicker processing: gambling operators have a habit of making slow payments via traditional methods, such as bank accounts, credit/debit cards, and cheques. Meanwhile, eWallets are capable or receiving funds much more quickly. What eWallets Are Out There? There is a rich selection of eWallets now on the marketplace, but a handful remains as the most popular among online gambling sites. This is because gambling operators have formed trusted partnerships with those providers and have no reason for switching. The following sections are devoted to the most popular eWallets. Securing a PayPal partnership can be tough for gambling operators, which is why this eWallet appears more often at larger-scale sites. Nevertheless, PayPal is appealing because no fees are charged on buying goods or services. Meanwhile, there is a 3.4% charge plus £0.20 whenever any funds are received for goods or services. Neteller is widely present among gambling sites, so you will rarely struggle to find acceptance. This is a strength, but one of the weaknesses would be the widespread charges on deposits. For instance, VISA can be 1.90% to 4.95%, while MasterCard can range from 2.25% to 4.95%. There is a set €7.50 fee when removing funds via bank transfer. Skrill is owned by the same company as Neteller, which is why the eWallet is also widely represented in online gambling. Arguably, it’s easier to pay with Skrill, as Maestro deposits are free, but there will still be a €5.50 withdrawal free to bank accounts. Skrill and Neteller make it free to receive money, but not when you want to withdraw the funds. • Site coverage: try to settle for an eWallet that’s accepted at multiple sites. • Payment compatibility: Skrill can work well for users who have a Maestro card, as their deposits carry no fees, whereas VISA is not so advantageous. 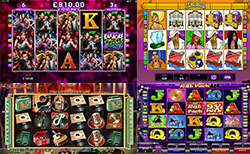 • App provision: the prevalence of mobile gambling sites means that you want to have an eWallet with apps that can let you manage funds while on the move. eWallets can help you stay safe and make quicker payments, but you need to pick one that works for you.